With the goal of promoting sustainable finance and a new kind of corporate governance, Mirova also supports various research initiatives. the Energie et Prospérité (Energy and Prosperity) Chair was created in 2015 to clarify decisions made by public and private entities steering the energy transition. The research conducted is related to the effects of the energy transition on the economy (growth, employment, debt), different industries (transport, construction, energy production, finance), and their related means of financing. Housed by the Fondation du Risque, the Chair is supported by the ADEME, Air Liquide, the Agence Française de Développement, Caisse des Dépôts, Mirova, Schneider Electric, and the SNCF. the Théorie de l’entreprise: modèles de gouvernance & création collective (Company Theory: Corporate Governance & Collective Creation Models) Chair. This Chair is directed by Blanche Segrestin at the Centre de Gestion Scientifique at the MINES ParisTech School. The Chair’s research essentially deals with a vision of the company as a collective creation and re-vamping models and mechanisms for fair and solidary governance. Mirova is associated with research articles published by students at the Chair on governance issues. 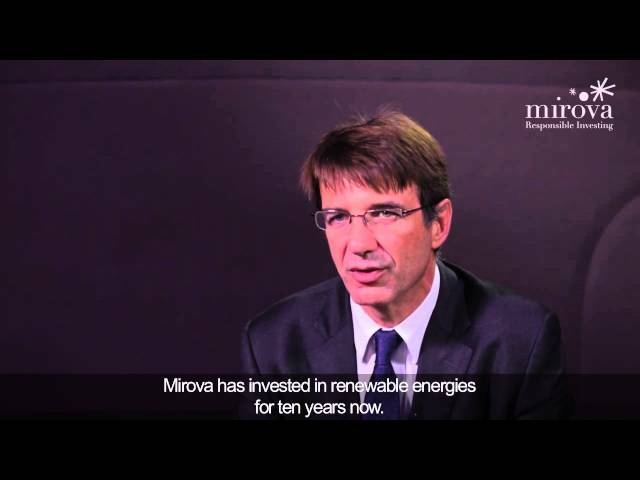 Mirova, represented by its CEO Philippe Zaouati, is a member of the Business Green Growth Group, established by the Ministerial Green Growth Group to take a stand and defend its financial and strategic vision of green growth, economising resources, and low carbon, in order to make Europe a leader in ambitious climate goals. In partnership with the University of Cambridge, Mirova created the Investment Leaders Group (ILG), whose mission is to move the investment chain towards responsible long-term value creation.